Like the rest of the Isthmus of Central America, Honduras has not had an easy ride. It has had a violent, turbulent history. The story of life in Honduras begins back when humans were migrating down from North America into South America using Central America as a land bridge. Along the way, many ended up staying. Artifacts found throughout the region show that humans were in it between 12,000 BC and 8,000 BC. For the next few thousand years, Honduras was home to various tribes of different ethnicities dotted around the country. By 150 AD the Mayan civilization had taken hold in the areas to the north and west of Honduras – Guatemala, Mexico, and Belize. The Mayans had spread into western Honduras and founded the city of Copan. Copan and western Honduras marked the extent of the Mayan range from its heartland. But that did not stop it from becoming a major center of the Maya world. It was during the Preclassic period, 2000 BC to 200 AD that the Maya first arrived in the western Honduras. But Copan came into its own during the Classic period. Between around 400 AD and 800 AD, Copan was at its peak as the unrivaled head of a Maya kingdom. From 800 AD onwards, the city collapsed. 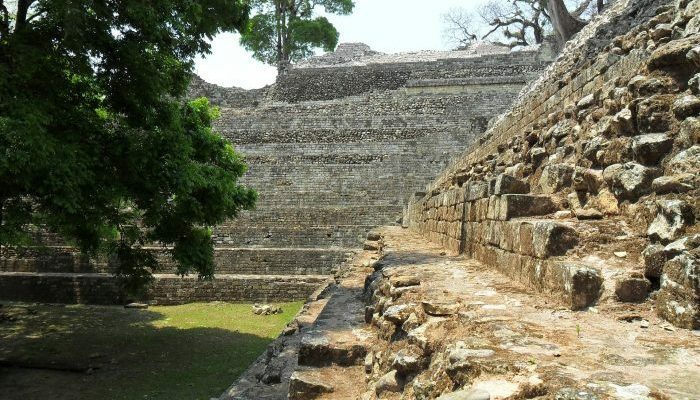 The ruling elites left Copan and the city little by little turned to ruin as people stole the stones for their own construction. 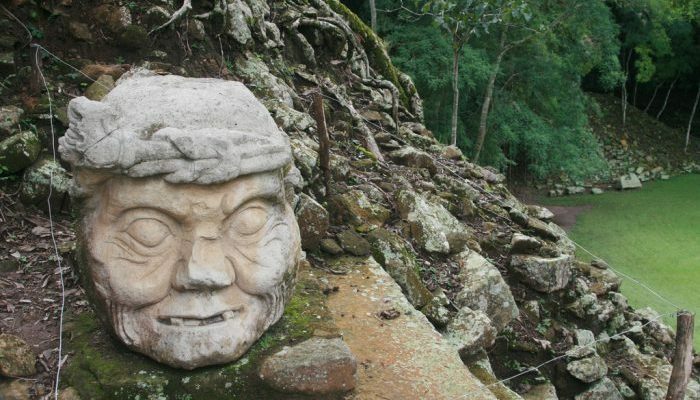 The fate of Copan was a micro version of the fate of the Mayan civilization as a whole. Most of Honduras was not under Mayan control, although the neighboring nations and tribes traded with, and fought with Copan. The centuries after Copan’s collapse leading up to the arrival of the Spanish passed in obscurity as each nation went about its business. Things changed forever on July 30, 1502. 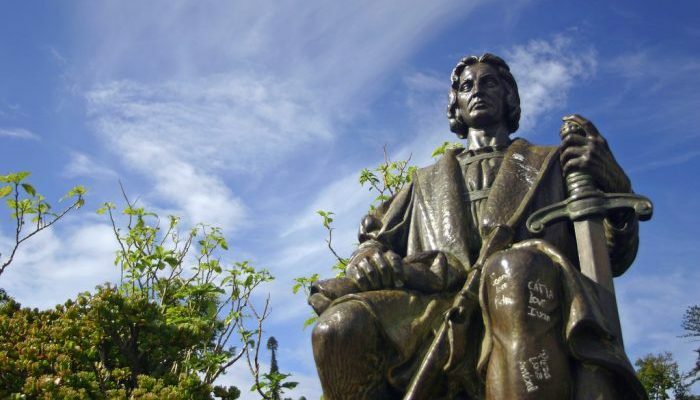 That’s when Christopher Columbus, on his fourth and final voyage to the New World landed on the island of Guanaja, one of Honduras’s Bay Islands. He was the first European to reach Central America. A few weeks later, on August 14th, Columbus became the first European to set foot on the Central American mainland, close to Trujillo. Columbus named this land Honduras, which means “depths”. It’s believed that he was referring to the depths of the waters off the coastline. Columbus didn’t stay in Honduras long. He headed east along the coast and down to explore Nicaragua, Costa Rica, and Panama before heading back to Santo Domingo. The mainland of the Americas was now on the Spanish radar. As the Spanish conquered the Aztecs in Mexico to the north and fought their way up from Panama to the south over the next twenty-odd years, it became obvious that they would all meet somewhere. That somewhere was Honduras, which became the scene of rival Spanish conquistadors from all different directions fighting each other as well as the indigenous people to gain control of the land. Gil Gonzales Davila arrived from the north coast, hoping to make his way back down towards Nicaragua, which he had already conquered. In the meantime, Hernan Cortes, fresh from his conquest of Mexico, was looking for new challenges. Cortes sent Cristobal de Olid into Honduras from the west. Francisco Hernandez de Cordoba was also in the mix, coming up from Nicaragua, where he had also conquered in rivalry with Davila. None of these guys liked each other very much and they all wanted Honduras for themselves. Olid, Cortes’ man, went rogue in Honduras and tried to take the land for himself and not the Spanish crown. This meant that Cortes arrived with his own force. Now there were four competing Spanish forces in Honduras, fighting each other between conquering the locals. After many skirmishes that bordered upon outright civil war amongst the Spanish, Olid was eventually executed. Intermediaries sent in from Santo Domingo helped to solidify the Spanish presence under the leadership of Cortes in 1525. With Cortes controlling the Spanish in Honduras, things moved fast. 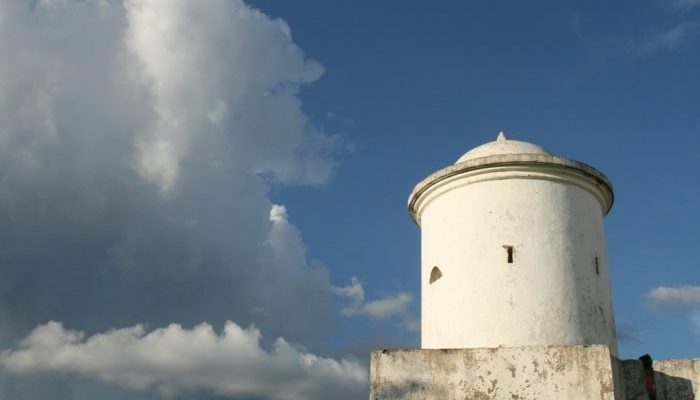 The city of Trujillo was founded in 1525 and Cortes arrived in the country from Mexico soon after. His arrival was a boost to the Spanish soldiers and settlers in Honduras. From then on to 1539 the conquest went ahead more smoothly for the Spanish. By 1539, Honduras was a part of the Spanish Empire under control of the Captaincy-General of Guatemala. As part of the Captaincy-General, Honduras was important. Unlike most of the other parts of Central America, where the Spanish found no treasure, Honduras had silver. Indigenous people from all over Central America came in (not of their own volition) to work in the mines, as well as, later on, slaves from Africa. Honduras became quite wealthy in comparison to the rest of Central America, and the city of Tegucigalpa was founded in 1578, in the mining area. Spanish rule was always centered around the silver mining areas, in the center of Honduras, away from the Caribbean coast. As the silver mines became more important, the Spanish moved inland and left the coast unguarded. In truth, despite the fact that the Spanish arrived on the Caribbean coast from the get-go, once the conquest got underway, this was an area that they never quite completely managed to subdue. This part of Honduras, including the Bay Islands, became less influenced by the Spanish. As the Spanish moved out, others moved in, in the form of pirates, who had more or less taken over control in the Bay Islands, which the used as a base. The British also stepped in, backing the Miskito tribe against the Spanish. The Spanish had never conquered the Miskitos. Once they had allied with the British, that opened the door for the British to take over the entire Caribbean Coast of Central America. This was the area called the Mosquito Coast. In 1821, Mexico gained independence from Spain, and with it, the Captaincy-General of Guatemala, of which Honduras was a part. Two years after that, the Captaincy-General broke free from Mexico, and Central America went at it alone. The Federal Republic of Central America didn’t last too long itself. After a few years of turmoil, it dissolved in 1839, with each of its provinces becoming independent. Honduras was now a sovereign nation. An irony of Honduras becoming independent was the fact that out of all the countries in Central America, it was Honduras that most pushed for Central America staying together. Even after independence, Honduras tried many times to get the other countries to unite, but to no avail. 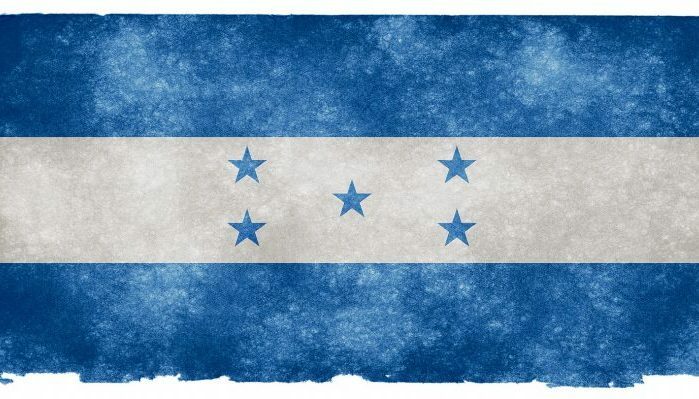 The five stars on the Honduran flag, one for each country, are a testament to the fact that Honduras saw itself as part of a larger Central America rather than as a country on its own. It is unique in the region for that. But Honduras was alone, like it or not. It started to chart its own course. One of the first things that Honduras did during its first couple of decades of existence, was to invite foreign investment in to help build up its economy. Foreign companies from Europe and the United States came into Honduras and started building railroads and shipping fruit. By the early 20th century, Honduras had given vast swathes of its land away to major companies such as United Fruit, in return for the labor that they provided and the infrastructure that they built. 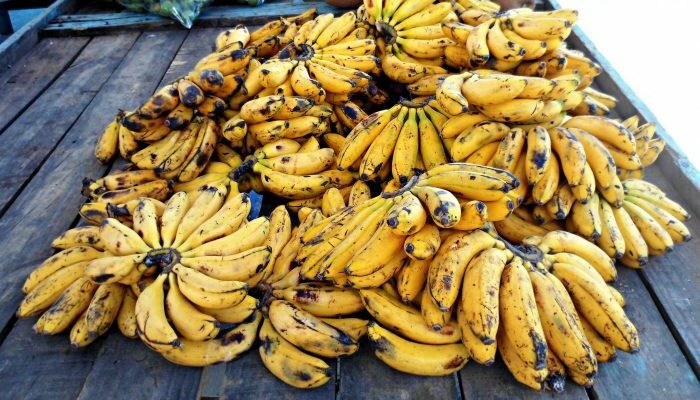 These fruit companies became so influential in every facet of Honduran life, that Honduras was called the first true “banana republic”. The companies controlled presidents and politicians in Honduras. The country was, in effect, an oligarchy. Workers’ rights were minimal in Honduras, as the bottom line of the fruit companies was all-important. Reforms got passed and then taken away and passed again. Once workers got the right to organize in the 1950s, a massive general strike led to the ousting of democratically-elected president Villeda Morales, who was sympathetic to the workers, by the United Fruit-backed military who imposed a dictatorship on the country that lasted until the early 1980s. During the dictatorship, Honduras cracked down on workers rights and leftist groups. The reforms made to the United Fruit workers by Morales became void. Trade unions suffered harassment. The military government of Honduras became a staunch ally of the United States in the fight against Communism in Latin America. In 1969 Honduras had a brief, but bloody war with El Salvador, called The Football War, as it coincided with some World Cup qualifying games between the two countries. The real reason was the fact that many Salvadoran immigrants were living in Honduras, attracted by fruit company work. With an economy in trouble, the military government wanted a scapegoat, and so blamed the immigrants. El Salvador responded and war commenced over four days in July 1969. Although the war ended in a tie, it marked the turning point in the fortunes of the military government. Many people who once supported it now turned. Real opposition parties formed and the 1970s became a decade of gradual reform followed by setback followed by gradual reform. Baby steps. In 1981 civilian rule came back to Honduras. A new constitution was written and the fruit companies, their heyday already long over, found themselves with no power at all. With the help of aid from all over the world, Honduras started reforming itself. During this time, Honduras became the largest destination country for the Peace Corp. Things were not all rosy in the 80s, though. The new government feared Honduras falling under communist control like its neighbor Nicaragua. Its other neighbors Guatemala and El Salvador were also both meshed in civil wars themselves, and Honduras did not want to go down that path. Neither did the United States want another leftist regime on the Isthmus. The Honduran military, despite not being in power, nonetheless started small-scale campaigns of intimidation against left-wing groups in the country, including the use of death squads. The Peace Accords which ended the civil wars in Central America also, for the most part, ended repression in Honduras. 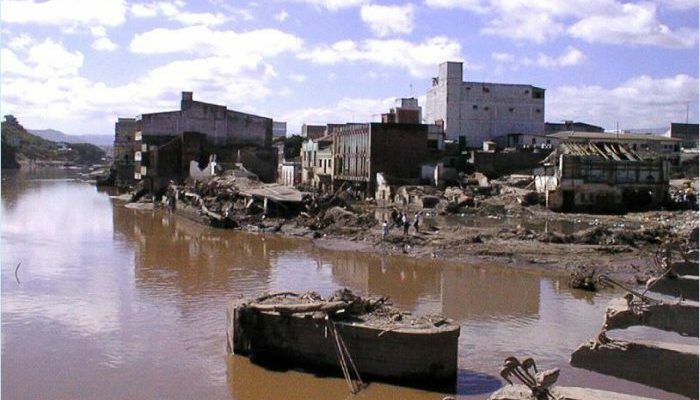 In 1998, the country was virtually wiped out by Hurricane Mitch, which took out around 70 percent of Honduras’ agriculture, and 80 percent of its infrastructure. It was said that 50 years of progress in Honduras had been reversed, taking the country back to the 1940s. Since then, Honduras has rebuilt. Things got rocky in 2009 when then-president Manuel Zelaya was ousted for trying to change the constitution to allow him to run for office again. The military took over for a brief period before handing power back to the people.